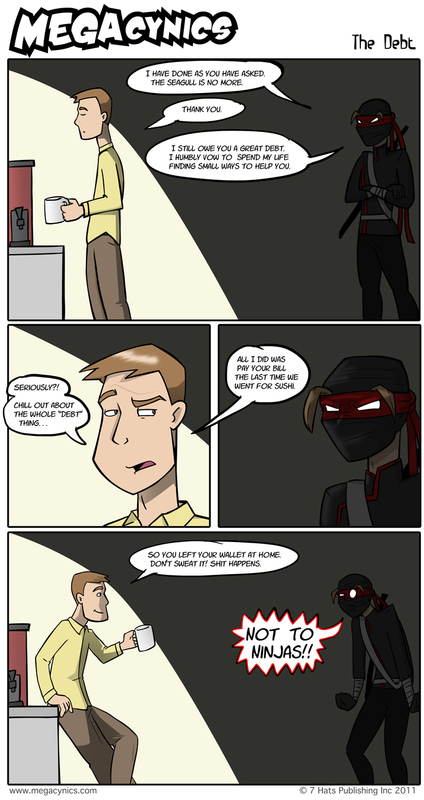 For tax and legal reasons I can neither confirm nor deny that Steve has ninjas in his employ... But the seagull situation was cleared up pretty damn quick. Is there really any other explanation? I didn't think so. New comic! For tax and legal reasons I can neither confirm nor deny that Steve has ninjas in his employ... But the seagull situation was cleared up pretty damn quick. Is there really any other explanation? I didn't think so.